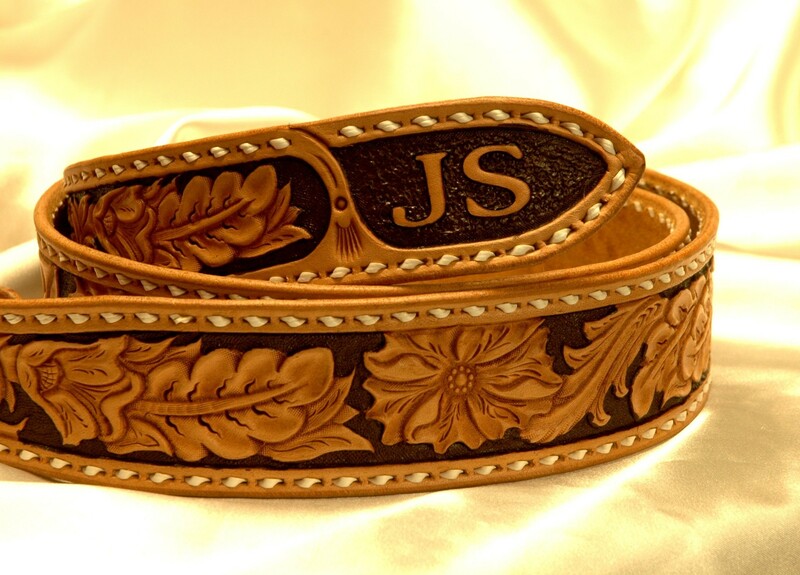 "The finest hand-tooled belts in the West"
For those desiring a custom hand tooled leather belt, our products are the best way to express your personalized style on a beautiful belt that lasts. 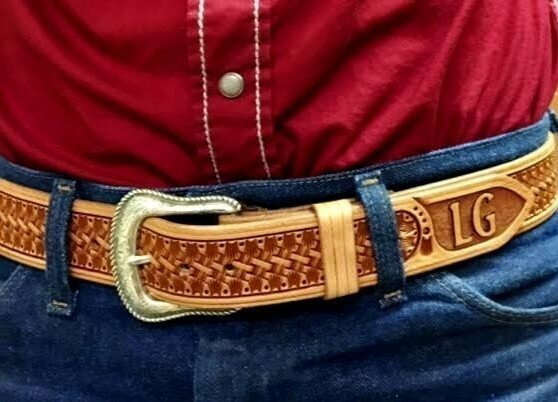 That's because only true leather artists at Lone Tree Leather Works use genuine USA 10 oz weight cowhide and original tooling patterns to create a belt, with the option to hand craft it how YOU want it. Customization could include your name on the back, initials or brand on the tip, colored background, or classic buck-stitching to set your belt apart. Just say the word and we can begin creating a belt just for you! Traditional hand tooled methods - not "embossed"
Not impressed with our product? Get in touch. We offer a 30 day no questions asked money back guarantee. "First I must say the two custom belts you have provided me are amazing. I have never had total satisfaction with an item of clothing...rugged, functional and handsome. I hope like me. I have three of your belts. I'm going to make the difficult decision on my next to add to my growing collection of your terrific product. Thank you very much." ​"I received my Red Rock Special belt this morning and it is absolutely stunning!! It is everything I would have hoped for and more! I will wear this work of art with pride and I will prepare myself for the many questions I will be asked about it. I want to thank you for your wonderful craftsmanship and your outstanding customer service. I will be ordering another belt in the very near future. You are continuing such a great tradition of hand made quality- you make me so very proud to be an American. ​Thank you again, you have made my day." "Absolute brilliant piece of leather craft, I've had a lot of people comment and ask where I got it? I proudly tell them Lone Tree Leather Works Montana USA. I will wear it with pride, from start to finish its been an absolute pleasure dealing with you. "I absolutely love my belt! It fits like it was tailored specifically for me! From the first touch I could tell that it will last me a very long time unlike my other belts that rip and tear within a couple of months!! Just wanted to say thank you!! It is obvious that y'all take a lot pride in your work and you can expect further business from me!! Thanks again and God Bless y'all!!" 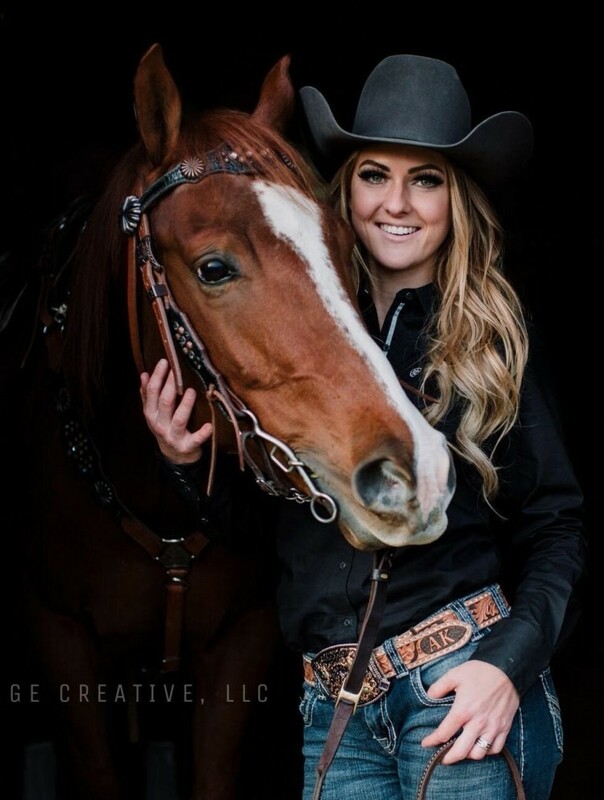 “Where quality and craftsmanship meet cowboy tradition." 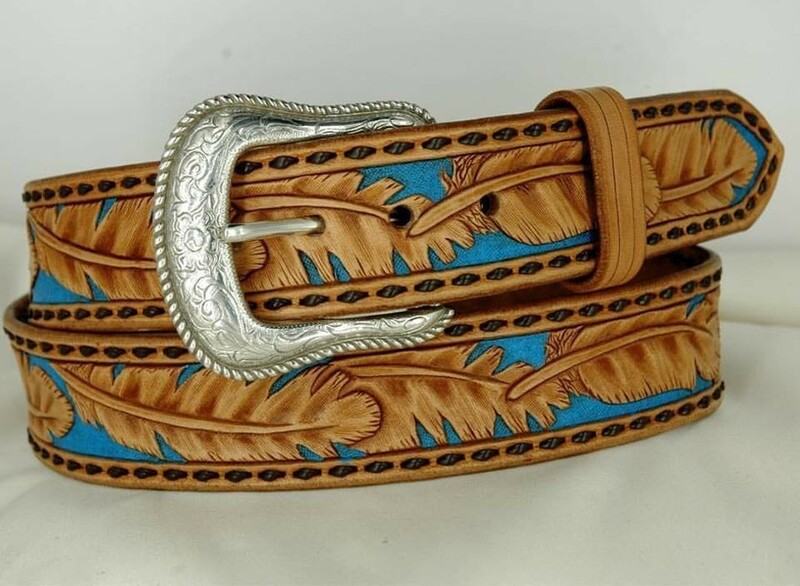 Want to spice up your belt a little with some custom art? Artist Roland Briggs will carve some custom images on your belt all to your specifications. Please note that we gladly ship to all 50 US states, as well as Australia and Canada.